The scenic Quarry Park Picnic Area in South Chagrin Reservation masks the history of a small quarrying town that once thrived in the region, but clues to its hidden past can still be found if one knows where to explore. The Quarry Rock Picnic Area in South Chagrin Reservation invites visitors to envision an era when small bands of pioneer men, women, and children forged a new life in the Western Reserve. Situated along the bank of the Chagrin River's Aurora Branch, the peaceful retreat masks a history of industry and commerce. The land that was once home to the town of Griffithsburg has been reclaimed by time and nature. While traces of the ghosted town have all but disappeared, clues to a hidden past lay quietly beneath the cover of hemlock and oak trees. 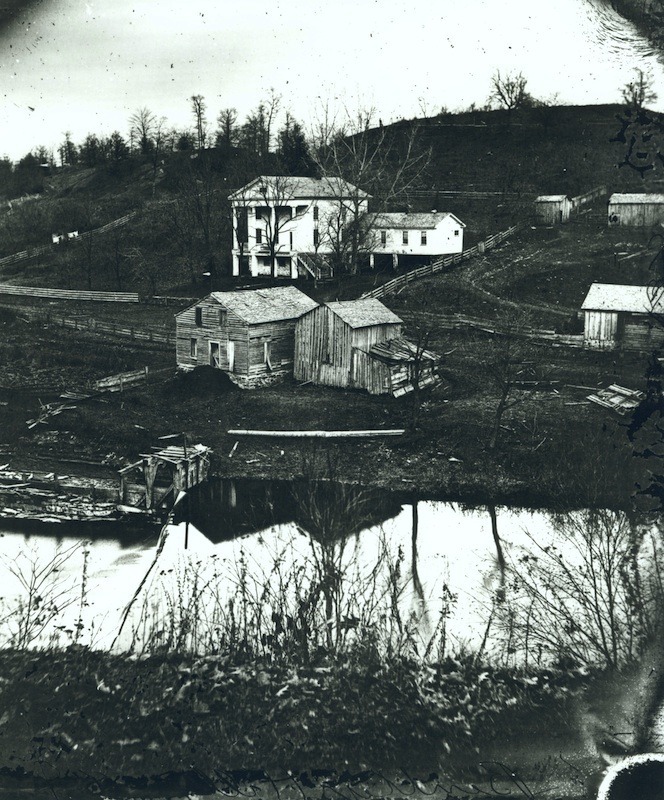 The lost town of Griffithsburg was born from the imagination of land speculators seeking to capitalize on opportunities offered by the Chagrin River. With the Aurora Branch dropping sixty feet from its upland headwaters in a series of rapids, the river offered drainage for agriculture and a potential source of waterpower. Previously known as Pleasant Hill, the area's first settlers of European descent dated back to around 1820 and were attracted by the region's potential as farmland. Between 1833 and 1834, General James Griffith along with a small group of investors from Portage County purchased 100 acres of land along the Aurora Branch of the river with ambitions to build a cotton mill. Although these plans were quickly discarded, Griffith moved forward in building his village in the woods. A business district was nestled within the sandstone cliffs and the Chagrin River, located down the hill from Solon Road. Homes were constructed near what is now Liberty Road along the river. It was a time of land speculation in the Western Reserve. In the broadest of strokes: the territory was reserved by the State of Connecticut, sold to a syndicate to be known as the Connecticut Land Co., unscrupulously negotiated out of Native American hands, surveyed and laid out in small lots for sale. 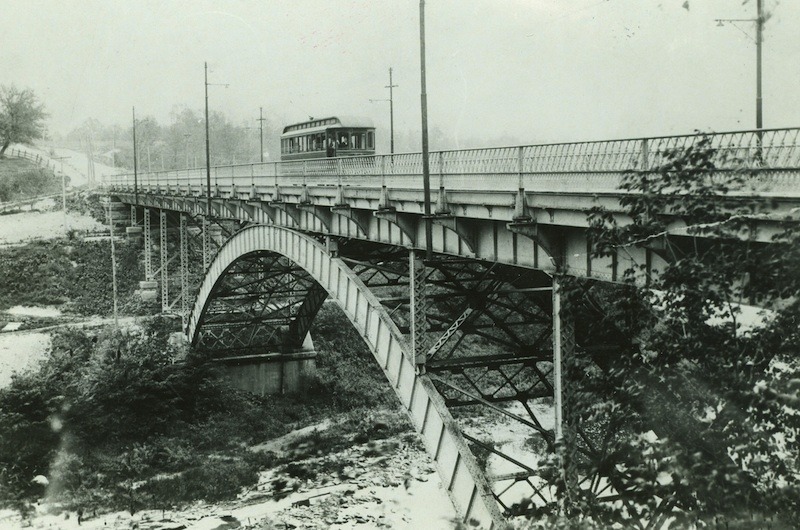 The opening of the Ohio and Erie Canal in 1827 expanded commercial opportunities and promoted economic growth in Cuyahoga County and its surrounds. Land was readily available; many invested in real estate with plans to develop their property and sell at a profit to future settlers. In an era of water and steam power, real estate along rivers and streams proved key to the construction of mills and factories. One of the first orders of business for General Griffith, and for any new settlement in Ohio during the 1800s, was to construct a sawmill. Looking upstream at the Quarry Rock Picnic Area, its location is now marked only by remnants of a sandstone mill foundation and the small picturesque waterfall. 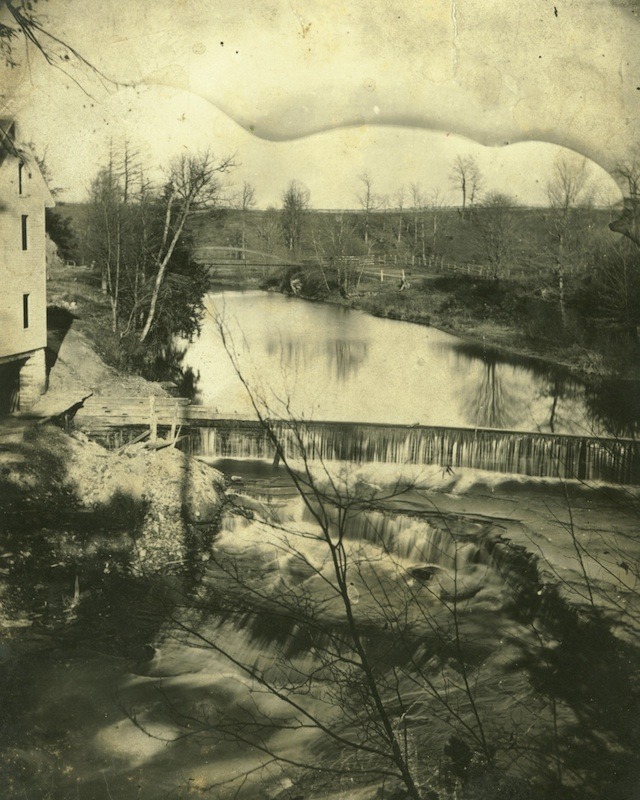 A man-made wooden dam once stretched across the Chagrin's Aurora Branch. Built where the river level dropped to provide additional power, water was diverted through a channel at the highest point near the mill to a waterwheel and emptied back into the river. What are now the calming sounds of water reaching the confluence of sandstone and shale were once accompanied by the rhythmic, thunderous knocking sounds of a water-powered sawmill. As surrounding trees were cut to make way for homes, farms, and businesses, the mill repurposed them into construction materials. Despite the setback of failed plans to build the cotton mill, Griffithsburg took shape by the mid 1830s. Seeking buyers of his property, General Griffith found an investor in the somewhat famous author and sailor Archibald Robbins. Robbins moved to the tiny town and constructed a building that acted as his home and store. Griffith, exerting his political influence, secured a United States Post Office to be located in Robbins' shop. With no other nearby post offices, residents from surrounding villages found it necessary to make their way into the inaccessible town. For a brief time, Griffithsburg flourished. Up to twenty families lived in the community, and a survey of the land reflected stores, a blacksmith shop, a school, and a factory. The influx of people to the town's center would soon be diverted, however, as Chagrin Falls opened its own post office in 1838. Soon-after in 1840, Robbins relocated his store and post office to Solon. Both Chagrin Falls and Solon would grow exponentially during the 19th century, while the town of Griffithsburg atrophied into non-existence. Griffith would remain in his town until the early 1850s, when he disappeared from Cuyahoga County tax records. 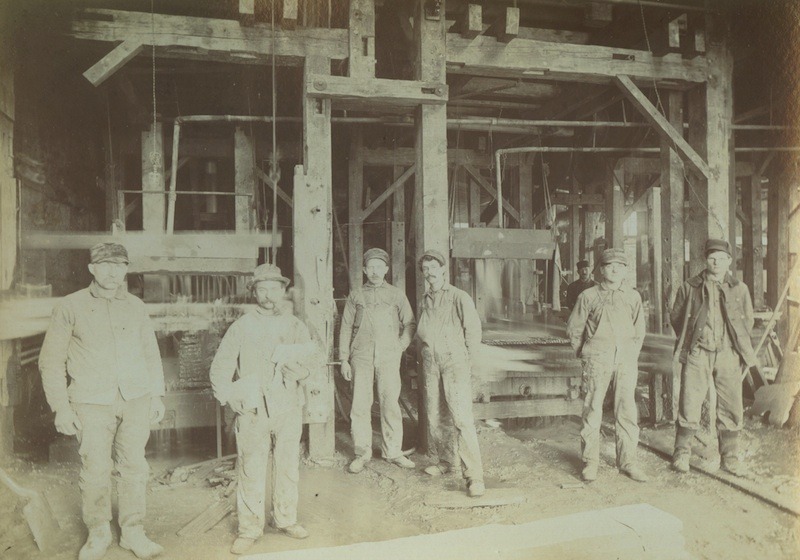 While marking the beginning-of-the-end for Griffithsburg's commercial center, the quarrying industry remained strong through the end of the century. 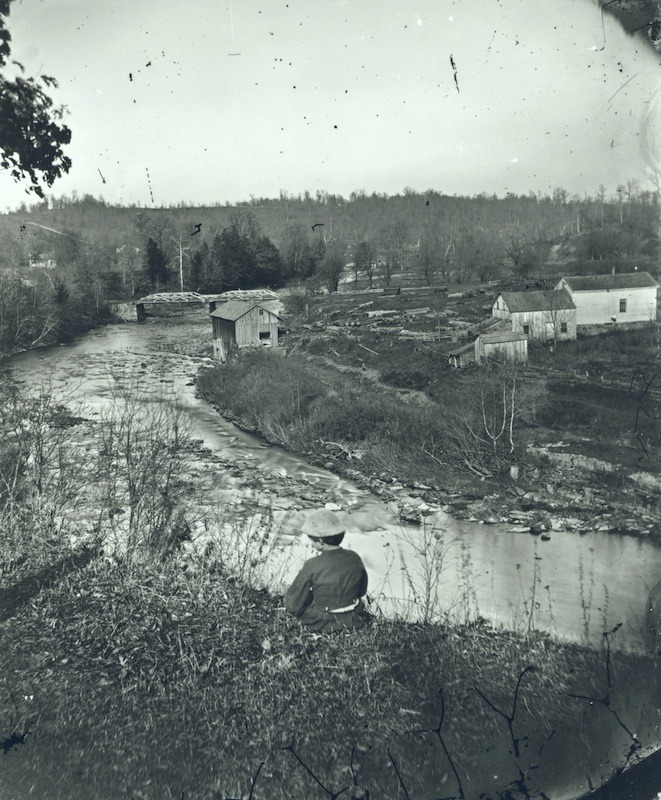 Of the many natural resources, one that surely caught the eye of Griffith and his cohorts was the abundance and accessibility of Berea sandstone along the Chagrin River. An increased demand for the resilient stone had recently emerged as its value as a high grade building material became evident during the construction of the Ohio and Erie Canal. The fine-grained Berea grit was discovered to make excellent whetstones, millstones, and grindstones. As industry in the region boomed, and cities and towns emerged across the Midwestern landscape, demand for quarried rock from along the Chagrin River grew. By the end of the 19th century, over eighty percent of all grindstones produced in the United States came from Ohio. 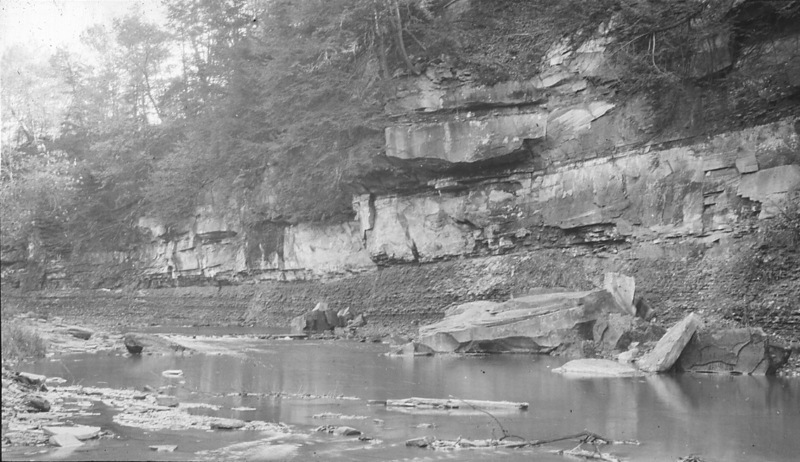 Evidence of the quarrying industry can still be seen in the uniform vertical scars etched into the exposed sandstone cliffs along the Aurora Branch of the Chagrin River. Accompanied by the serenity of South Chagrin Reservation, it is easy to lose sight of the brutal and dangerous work revealed by these simple markings. There was no easy way to quarry or transport giant cubicles of stone. Commercial quarries of the early 19th century relied on the simplest of tools; drills, blasting powder, sledge hammers, iron wedges, and rods. Holes were drilled into the stone along the desired breaking point, a small amount of explosive powder was inserted into the holes and detonated, and the stone was manually wrestled away from its ancient home. Systems of pulleys and levers assisted the movement of these burdensome cubes, which would eventually be transported by horse-drawn wagons. In Northeast Ohio, it was common for quarried rock to be tooled or cut into a round shape. These cast-off quarried materials still litter the gorge of the South Chagrin Reservation. During the second half of the 19th century, the quarrying industry progressively became dependent on access to railroads. 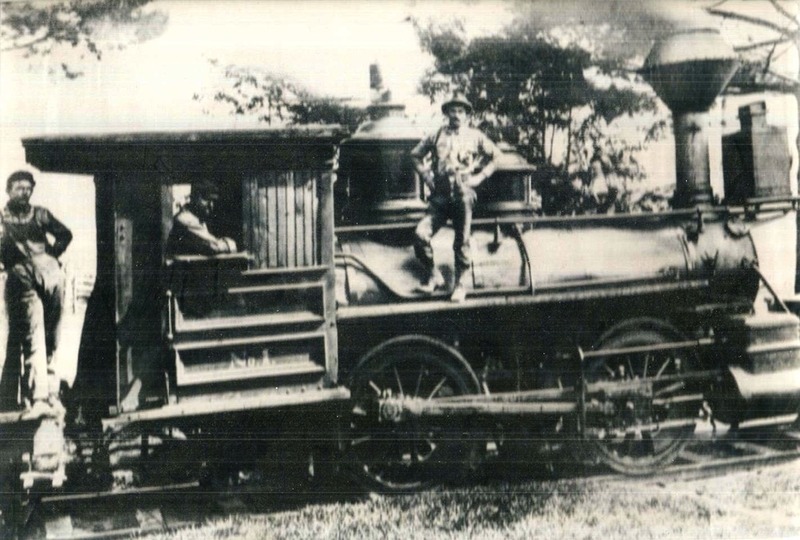 A branch line spur of the Chagrin Falls & Southern Railroad was built into the quarry around 1877. The tracks can still be faintly seen along the entrance to the Quarry Rock Picnic Area. 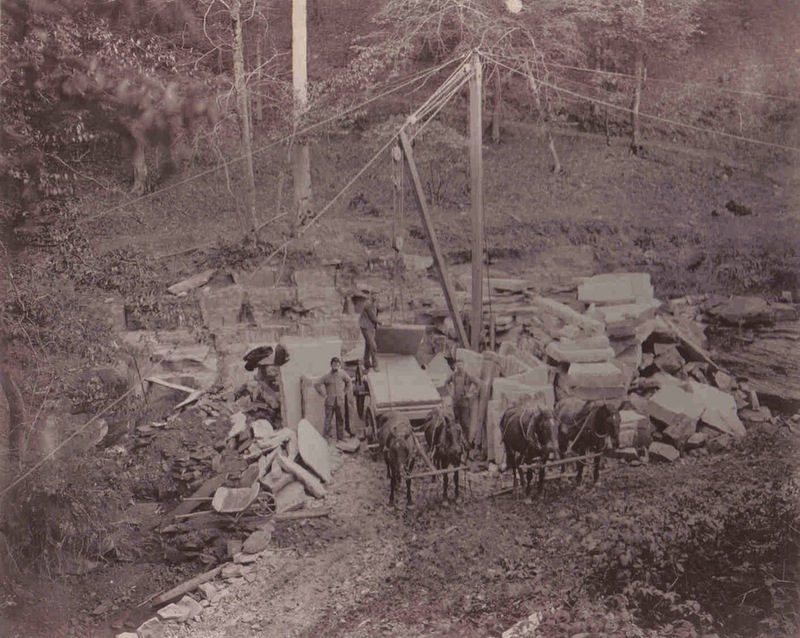 While the quarrying industry continued to thrive, it was eventually consolidated and monopolized in Ohio by a few dominant companies by the turn of the century. The Griffithsburg quarry would be abandoned. 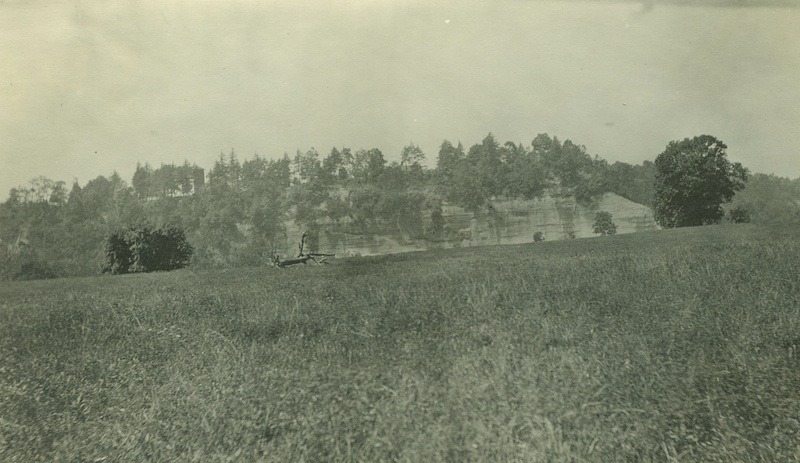 The Cleveland Metropolitan Park Board took over the grounds by 1930, and began the long process of reforestation. As years progressed, evidence of the Griffithsburg's era of pioneers, commerce and industry faded away. 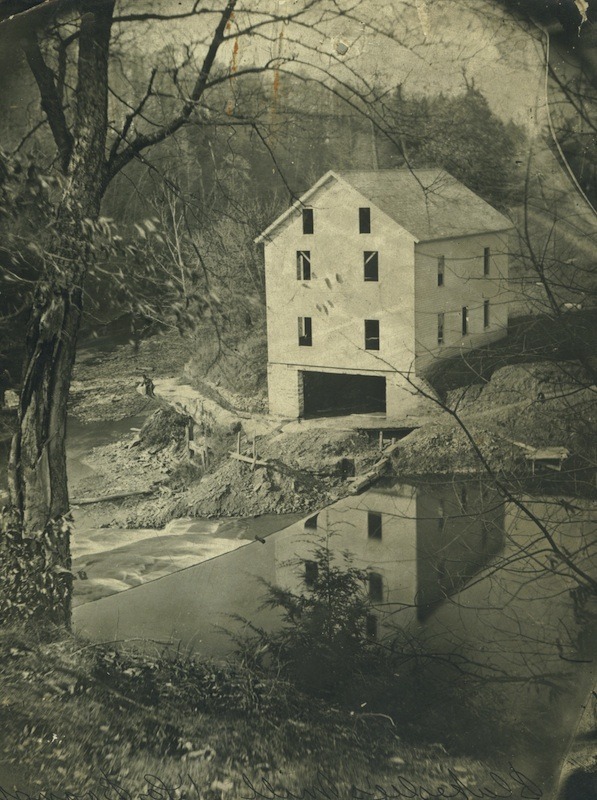 Deerlick Oil Stone Company: The fine-grained Berea sandstone sold by the Deerlick Oil Stone Company was quarried from along the Chagrin River. Oil stones, which were just quality whetstones commonly lubricated with oil, were used to grind and sharpen the edges of steel tools. Richard Raponi, “Griffithsburg,” Cleveland Historical, accessed April 19, 2019, https://clevelandhistorical.org/items/show/670. Published on Oct 20, 2014. Last updated on Apr 18, 2017.